Sean Hannity is an American radio and television host, author, and conservative political commentator. 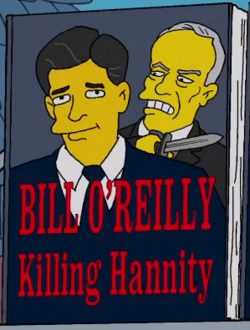 He appeared on the cover of the book Killing Hannity, with Bill O'Reilly looming over him with a knife in his hand. Modified on January 10, 2017, at 12:14.